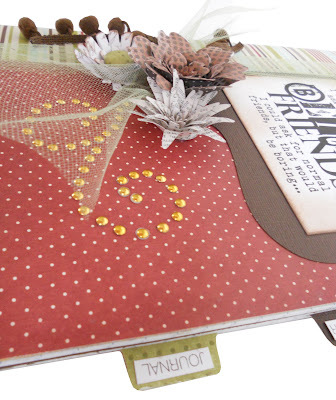 Turn a simple school composition book into a beautiful gift. 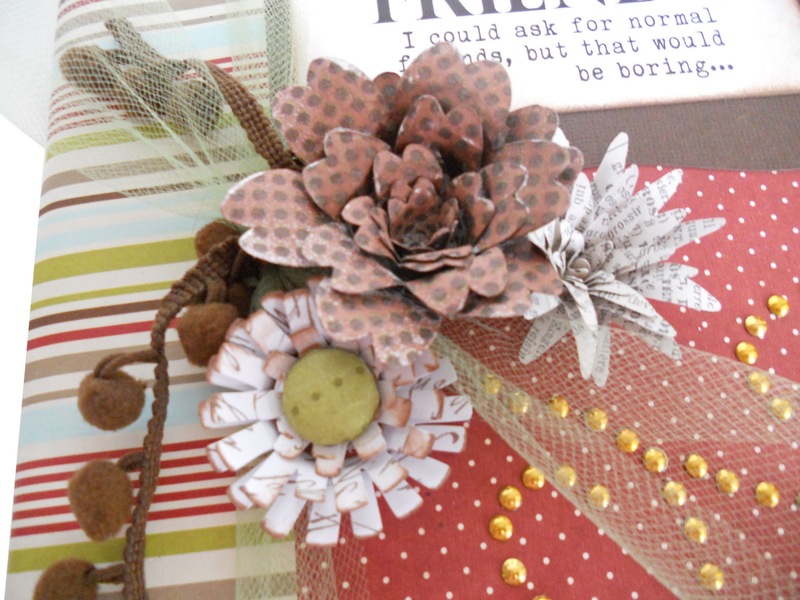 I used Imaginisce's Petal Roller Tool and Paper Roly Rosies, along with their i-top tool to create this gorgeous floral cluster on the front of the book. Then with the help of my most favorite tool, the i-rock tool and some copper bling I created the fun flourishes on the cover too! Cut: 6 x 9 3/4" Caramel Apples (red dot side); 5 x 9 3/4" All Spruced Up (stripe side) - stripes horizontal; Use Brown Cardstock with Bracket Pattern. Adhere red dot paper to outer edge of the front and back of composition book using liquid adhesive. Smooth out and sand off excess paper. Slightly crease striped paper and adhere over binding of book. 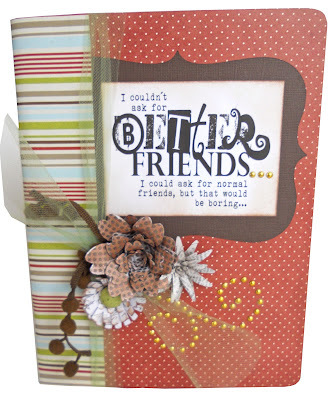 Trim around "Better Friends" quote, ink edges and adhere to center of brown bracket. Wrap green tulle around book where striped paper and red paper meet. Tie brown pom pom ribbon around knot in tulle. Use i-rock tool, swirl stencil and gold glam rocks to create swirl. Create assorted Roly Rosie flowers and adhere to book as you desired. Optional: Use i-top tool to create small green brad and glue to center of one of your Roly Rosies. 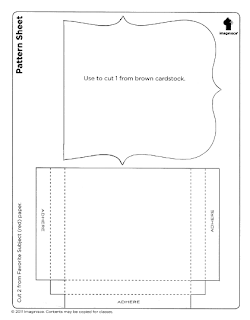 You'll need this pattern to create the bracket shape on the cover of the composition book. Click the link here to download this file. I really love this Lori! Thanks for sharing your creativity with those of us that are a little more creatively challenged.